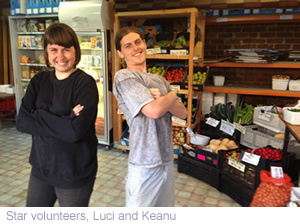 Marcus and Angie run Local Organics – a box system in Melbourne offering seasonal organic produce and other locally made and produced staples. Angie shares their story. Local Organics started as a CSA collection point for Rod Mays seasonal Organic boxes. In fact we were his first Melbourne delivery, back in 2010. It all started when Marcus and Angie visited the country and ate food that tasted amazing. They were inspired to experience the same tastes back in Melbourne. However, the standard food system values, the look and consistent availability of food over the taste. Taste and nutrition is often lost through storage, warehousing and long distance transportation of food. They went seasonal and started collecting great local food for local eaters, so we could all have access to tasty fresh produce. The benefits of localising our food systems are truly incredible, it impacts the wellbeing of the environment, the eaters and develops a healthy food culture! We offer seasonal organic produce and other locally made and/or produced staples, we have 3 collection hubs and bike and van deliveries, we also have regular farm visits and food skills workshops..and we are about to host a choir saturday mornings. The opportunities are endless fell free to join in the yum! Local Organics is passionate about contributing to a fairer more inclusive world through ethical food systems. 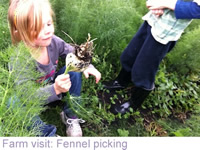 We enjoy growing awareness and community and sharing the discoveries and foods we find. We especially love minimising the wastage of good fresh food . 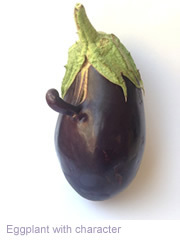 Often if an eggplant has a nose, or a carrot has two legs they will be rejected by the conventional food system. Around 30% of food produced is wasted in this way. We accept the natural shapes and sizes, this makes farmers very happy, educates and saves money for eaters and minimises pressure on the food system! Last year when Maurie had too many eggplants to sell on the fresh market Local Organics dis a commercial batch of preserved char-grilled eggplants! They are on sale here. We believe localised foodsystems have the ability work seasonally and re-engage in food preserving skills. Seasonal eating starts when you can imagine Victoria is your back garden! When you start to treasure and use its produce as best you can. When you eat what was available when it. Amazingly citrus is in season when our bodies most need their rich vitamin C content! Seasonal eating re-educates us a and re-connects us with the rhythms of nature! 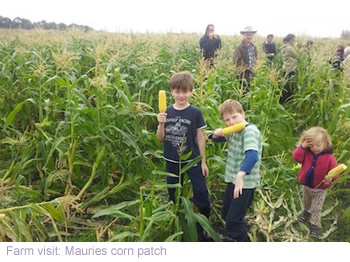 Find out more about Local Organic’s boxes, food skills workshops and farm visits. View Local Organics Local Harvest listing. Learn about Food Box Systems at Local Harvest, find food box options close to you.